GNOME doesn't provide any simple graphics tool for drawing/editing bitmap files. GIMP is very powerful, but also very complex, and even performing simple operation might require looking for tutorial on the internet. Third party software either requires a lot of dependencies (i.e. 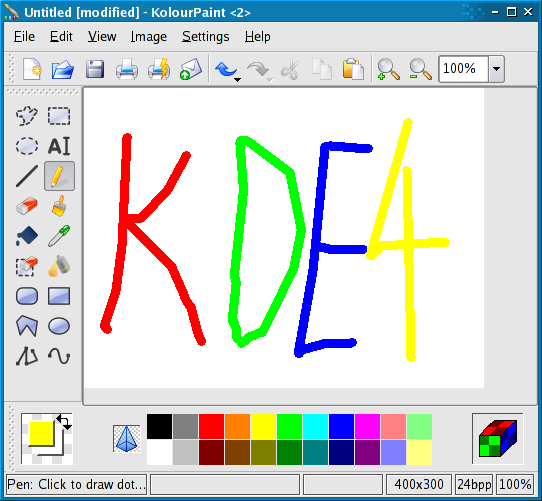 KolourPaint requires some libraries from KDE stack), or very unstable and unmaintained (i.e. GPaint, gnome-paint). The GNOME Paint should provide simple drawing operations (like drawing primitives) in very user-friendly way using GTK+3 and following GNOME3 UI design patterns.